Few, if any, of the men and women who have figured in this popular series of sketches, can look back upon such a full life as can Mr. David Price, “The Lilacs,” Hirwaun, whose career it is my privilege to present this week. Mr. Price received his elementary education at the Cefn Schools, and then proceeded to the Higher Grade School, Merthyr, from which he became a student teacher at Abermorlais Schools, under the late Mr. John Jenkins, J.P. In 1904 he won a King’s Scholarship and proceeded to the Hartley University College, Southampton, where he spent two happy years, leaving with the Board of Education’s Double First Certificate, having specialised in mathematics. During his college career he early gave evidence of the qualities he possessed, and whilst still a Freshman was selected as college delegate to a world conference of students at Edinburgh. He was secretary of the College Choral Union, captain of the College football team, and a member of the Southampton Debating Society. Mr. Price recalled to me with pleasure that five members of that society are now members of Parliament. Leaving college in 1906, he was appointed as teacher at the Pantglas Schools, Aberfan, and here, for a number of years, he put some hard work. It is interesting to note that he was for a considerable period the “Merthyr Express” representative at Aberfan and Merthyr Vale, and it was there he met Miss Gladys Davies, daughter of Mr. William Davies, foreman carpenter at Nixon’s Colliery, who is now his wife. 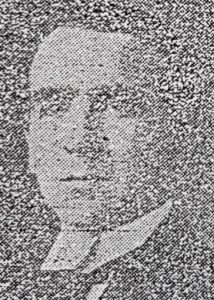 Whilst at Aberfan Mr. Price took a leading part in all social work, and in 1909 formed a League of Young Liberals in the Borough acting as its president until 1914. The outbreak of war saw him devoting all his energy on behalf of soldiers’ dependants and he started a very successful Welfare Committee and became secretary of the Prince o Wales’ Fund Committee. The later of 1915, saw him take his place amongst the boys who went out to fight, and in 1916 he proceeded with the 4th Welch to Egypt, and participated in the two battles of Beersheba and Kew-Elfih. He was promoted on the field for his bravery, but after ten months’ active service he returned to England, broken in health, with the rank of quartermaster-sergeant. He refused a commission on several occasions. Later in the war he returned to Egypt and was appointed to the personal staff of Deputy-Adjutant General Scudamore at the 3rd Echelon General Headquarters, Alexandria. His part in secret service on behalf of his country, and of the information he acquired when disguised as an Arab, make up a story as thrilling as any novel but which space prevents me repeating here. He returned to Aberfan after being demobilised, and in 1920 was offered an important commercial position at Hirwaun, which he accepted. In the 1922 Parliamentary election he was one of Sir Richard Mathias’s principal supporters at Merthyr, and in 1923 he also rendered valuable service to Mr. W.M. Llewellyn at Aberdare. In January last he accepted the position of Liberal agent in the Aberdare Division, and in the limited time as his disposal worked wonders with what was a moribund association. He his now concentrating his energies on the formation of a League of Young Liberals as a counter-blast to the Socialist propaganda, and those who know him best are confident that he will ultimately revive Liberalism in the division. A speaker with a convincing style and with an easy flow of eloquence. Mr. Price was himself invited to contest Aberdare at the last election, and this was not the only invitation he received then or since.